My guest this month, Rachel Abbott, did not start out as a writer, though she claims she always had a novel in her head. Born in Manchester, she trained as a systems analyst but then ended up founding her own interactive media company, where, as managing director, she wrote everyday but mostly board reports, user manuals, and creative treatments for clients. Around 15 years ago, she sold the company and moved with her husband to Le Marche, in central Italy. The pair set to work on renovating a ruined small monastery, where they lived for several years. When six-foot snowdrifts prevented her from leaving the house for a couple of weeks, Rachel started writing and found she couldn’t stop. She self-published her first novel just over four years ago, a psychological thriller called Only the Innocent, which is set very briefly in Italy but mostly takes place in rural Oxfordshire. Only the Innocent reached the number 1 spot in the Kindle store just over three months later and went on to become the second highest selling self-published title in 2012. It was subsequently published by Thomas and Mercer in the USA, where in just a few months it achieved number 1 in the US charts, making Rachel’s debut a number one bestseller on both sides of the Atlantic. Rachel’s first two psychological thrillers, both of which rapidly became international bestsellers. Her latest works, Sleep Tight (partially set in Anglesey, one of the Channel Islands, which Rachel visited as a child), Stranger Child and Nowhere Child have followed the same pattern of success. All of them take place mainly within Rachel’s hometown of Manchester. Rachel’s latest three books. The very latest, Nowhere Child, came out in October. It’s a stand-alone novella but features the same characters as Stranger Child. Despite her new-found worldliness, Rachel insists she remains a Lancastrian at heart. Photo credits: Rachel Abbott (inset, supplied); Whitworth Street, Manchester, by Mikey via Flickr (CC BY 2.0); Montalto delle Marche, by Sgobbone via Flickr (CC BY-SA 2.0); and Braye Beach (Alderney, Channel Islands), by TheOnlyMoxey via Flickr (CC BY 2.0) . Welcome, Rachel, to Location, Locution. 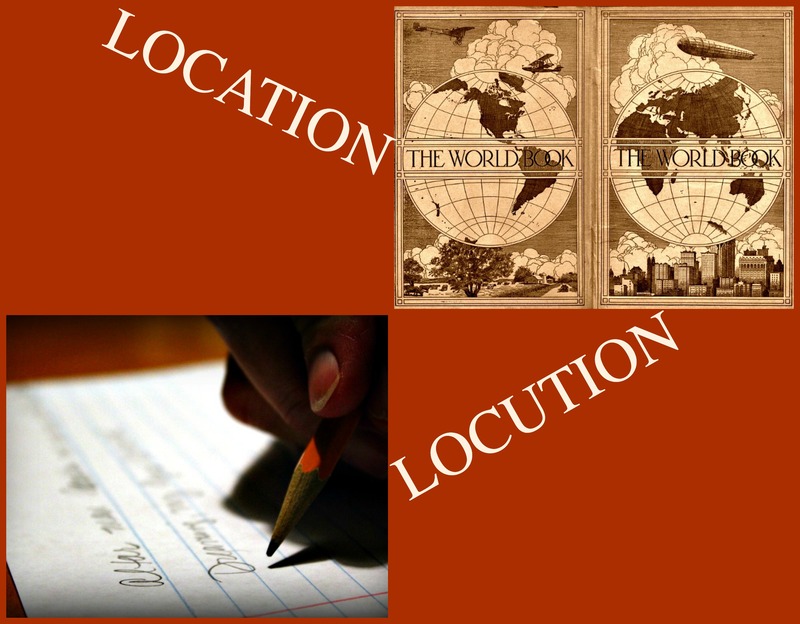 It seems your writing career and your expat life developed in tandem, but which comes first when you are writing, story or location? Thank you for inviting me, Lorraine. In all cases, my story has come first. My most recent books are set in Manchester, but the locations within Manchester are determined by the story. My concern is that I am going to run out of spooky places for the strange goings on that I need in my stories! What techniques do you use for evoking the atmosphere of a place? I have a very visual imagination, and in every major location in any of my books, I know exactly what it looks like. That’s my starting point. I can wander the halls of houses, or creep along canal banks at night. So I know what I can see. I then start to think about what it might smell like—and much of that is determined by what is happening. A house can smell of baking cakes, or of rotting food—so I imagine myself there, and think how it might smell. Finally, I listen. What will the sounds be like? Where is the location—outdoors or indoors? What are the surroundings like—are there trains nearby, or a distant motorway? I close my eyes, and I am there—feeling what my characters are feeling. It depends on the stage in the story. The character might be walking along a country lane, but if she is scared, the overhanging trees, dripping with rain from the recent storm would be the features to focus on. If it’s a happy day, it might be the cows munching contentedly on the grass in the fields. With this in mind, any feature can help to create that sense of the location. The freezing November wind is bouncing off the damp walls, hitting us in icy blasts as if someone keeps opening and closing a door. But there isn’t any door—just a gaping black hole. There are four or five groups of us down here, sitting in twos and threes huddled around our feeble fires. We keep to ourselves mostly. I can see the odd face, lit from below by the weak yellow flames, features hovering, disembodied, against the black walls, the eyes hollow pits. I can hear the occasional murmur of conversation but mostly I listen to the steady drip from the roof. It is relentless, and I’m not surprised when Andy says that dripping water is used as a form of torture. Another drop joins in, this time with a slightly different tone. There is a pause, and for a second I wonder if it’s stopped. But of course it hasn’t. Drip-drop. Drip-drop. Some settings exist in my imagination. Others have to be realistic. I am currently writing a story about an area of Manchester that I didn’t know existed—even though I lived there for a large proportion of my life. I have been unable to visit it myself in time to write the first draft of the book, but my sister lives nearby. So she has been out on research trips for me, taking photos and videos. I have used to map to pinpoint the places that I want her to take pictures of, and I’ve also used Google Maps—in walkabout mode—to get me close enough. I have studied this place in as much detail as possible without an actual visit, and I will visit it myself before the final version is written. I love the sense of location in Daphne Du Maurier’s books—in particular, Rebecca and Jamaica Inn. One is set in a magnificent, if malevolent old property, the other a run down and gloomy inn, which is never open to the public. The locations are so vivid in these books that a mental image is formed even before seeing them on the big screen! The locations of these two Daphne du Maurier classics are so vivid, you don’t even need to see Hitchcock’s films! And if you’d like to discover more about Rachel, why not visit her author site. You can also follow her on twitter at @RachelAbbott.